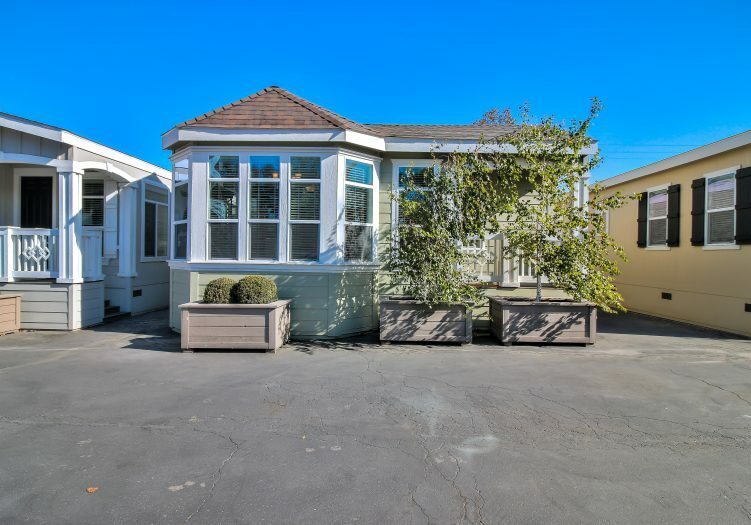 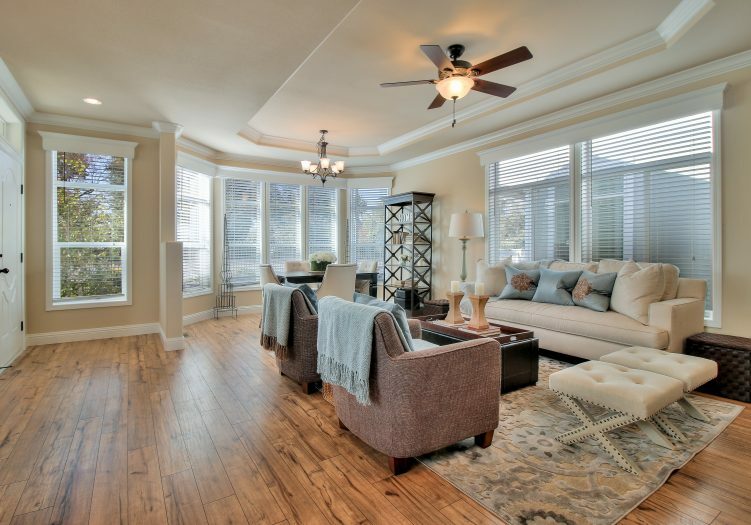 Showcasing a profound box bay window, the contemporary and open floorplan with 3 bedroom, 3 bathroom seamlessly blends the spacious living room with the kitchen and dining room. 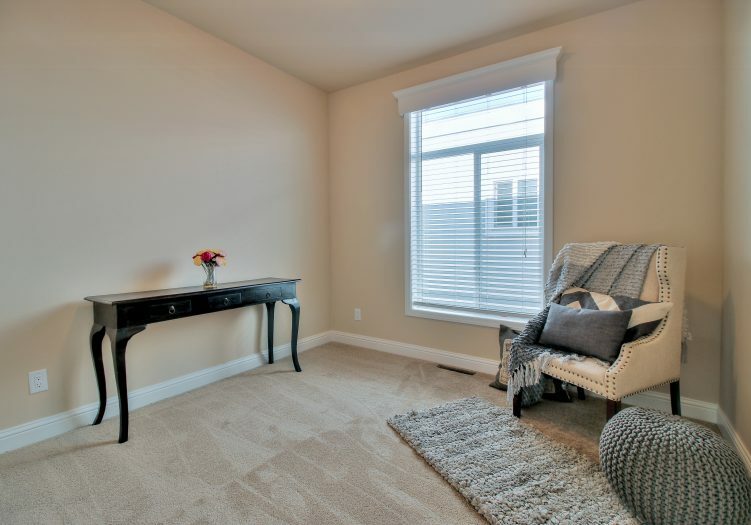 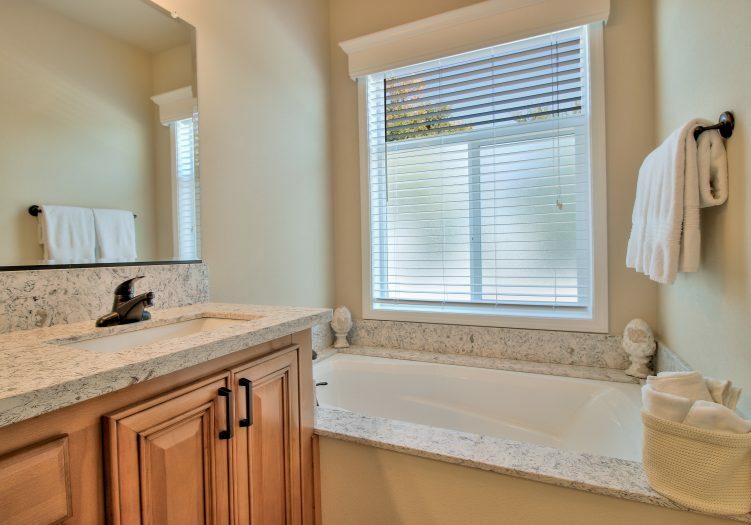 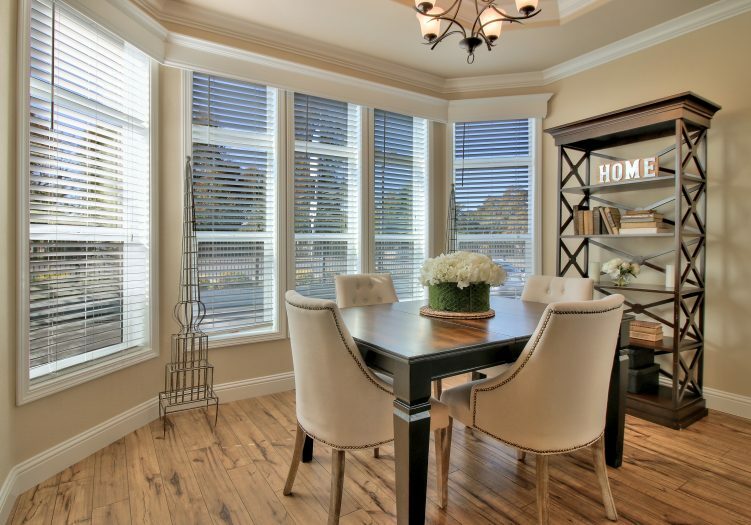 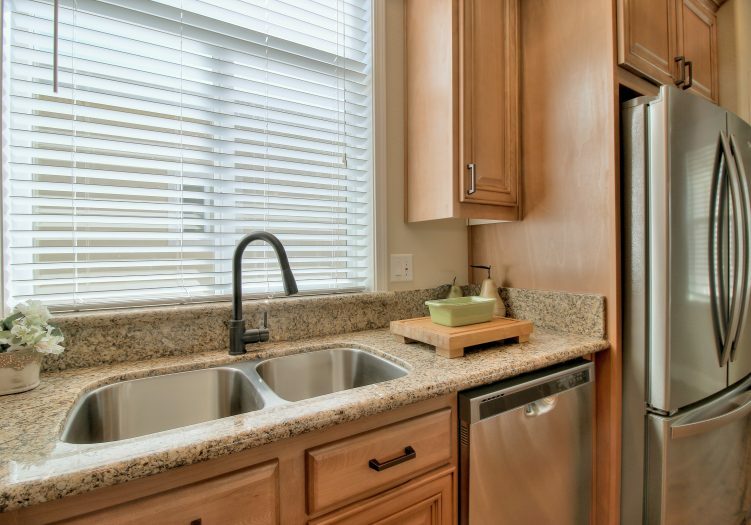 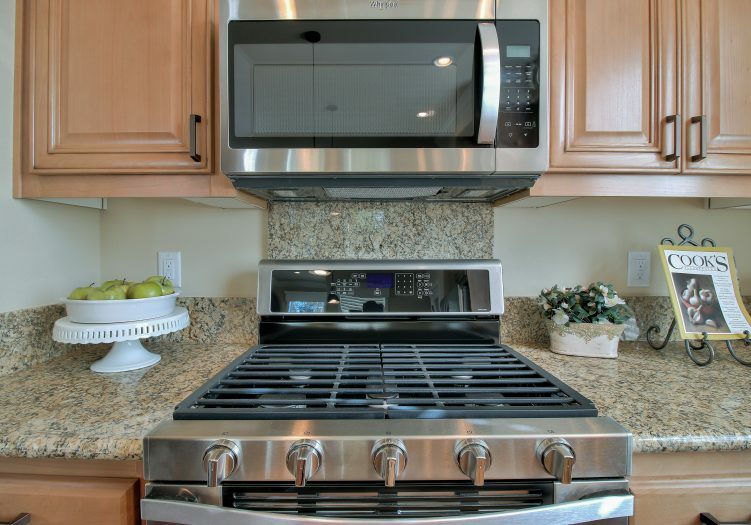 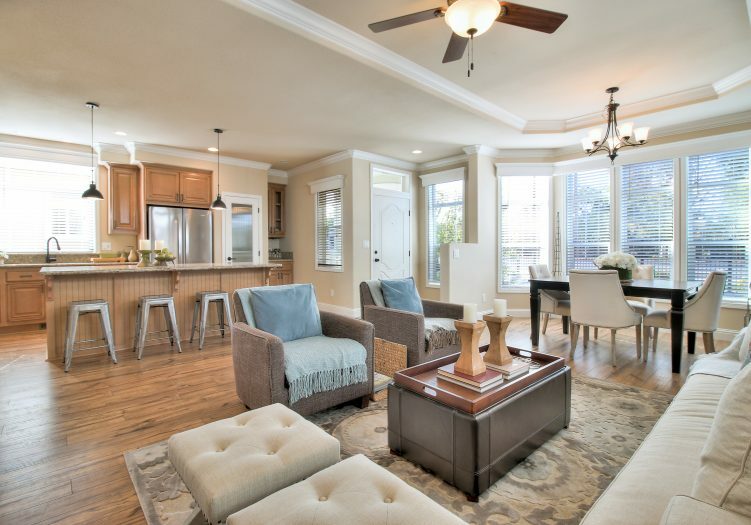 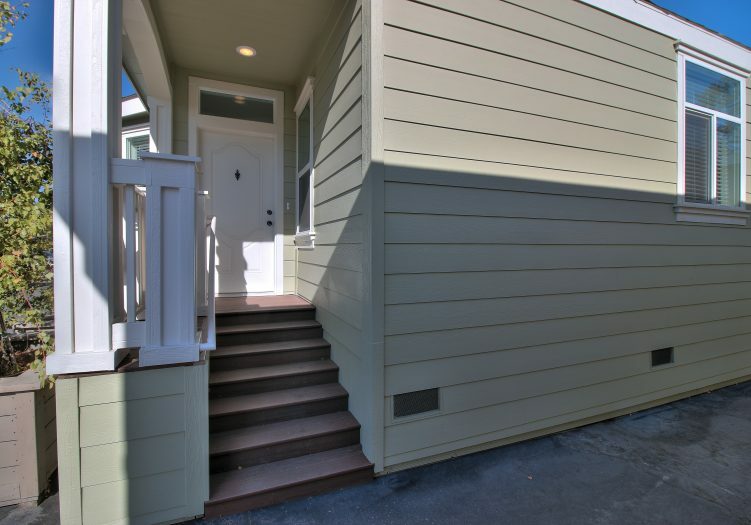 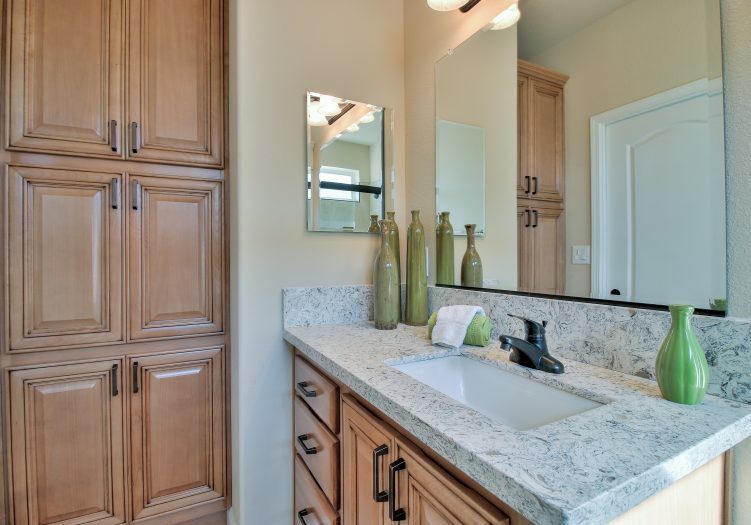 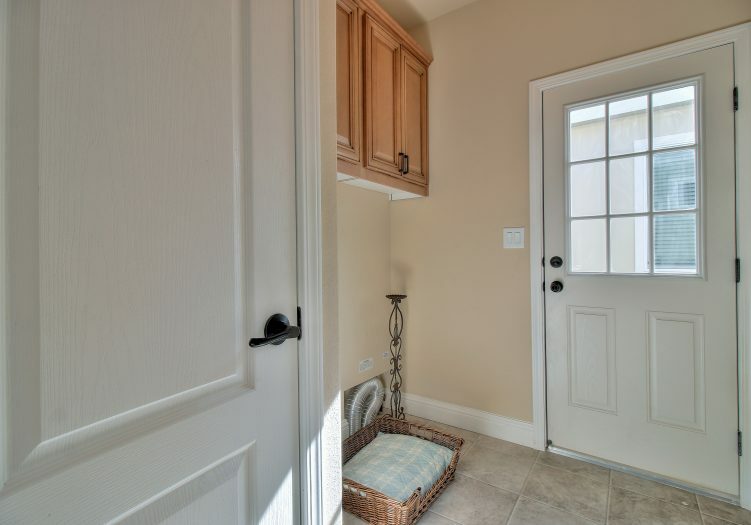 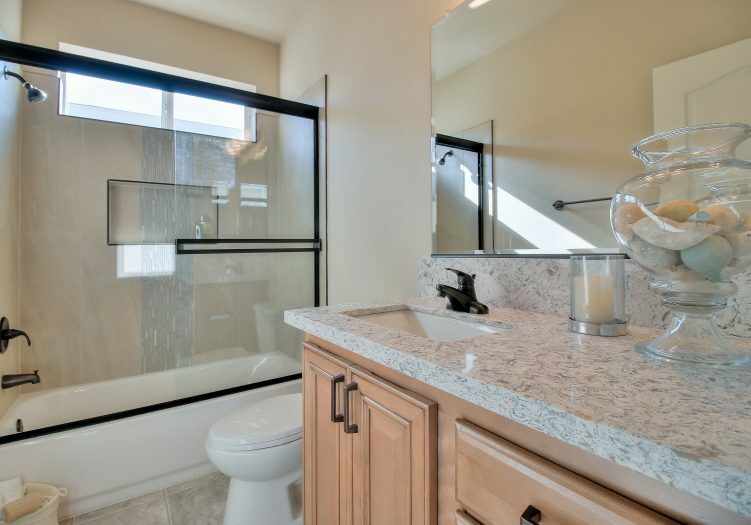 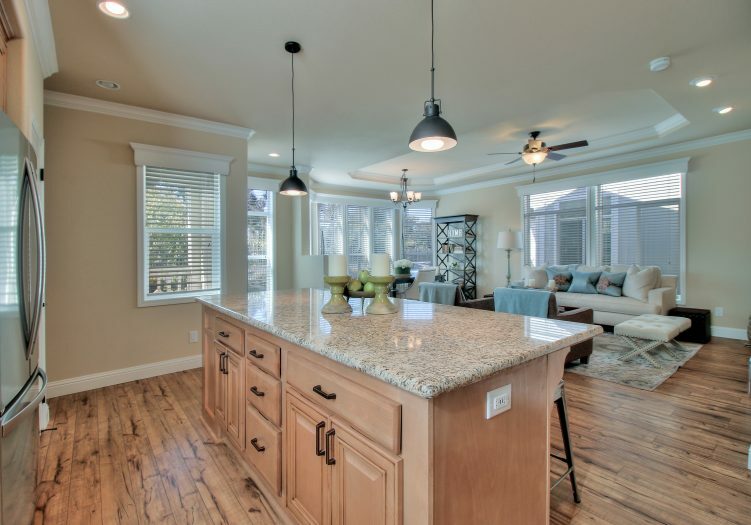 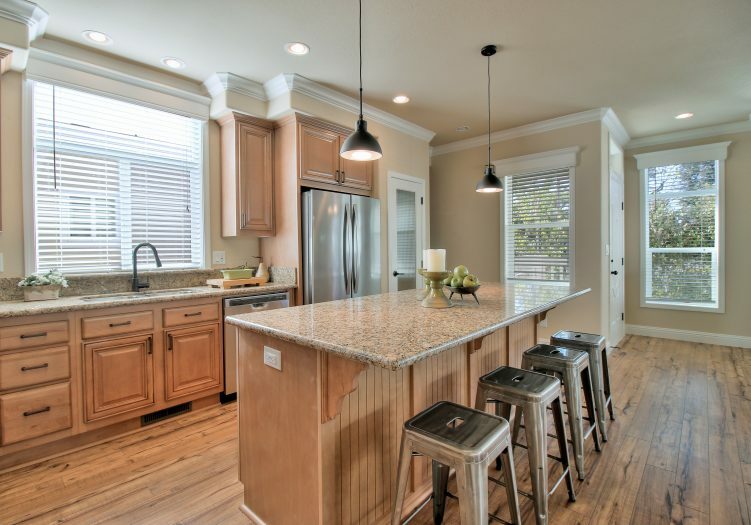 Top notch finishes include granite countertops, wood cabinets, and Whirlpool appliances. 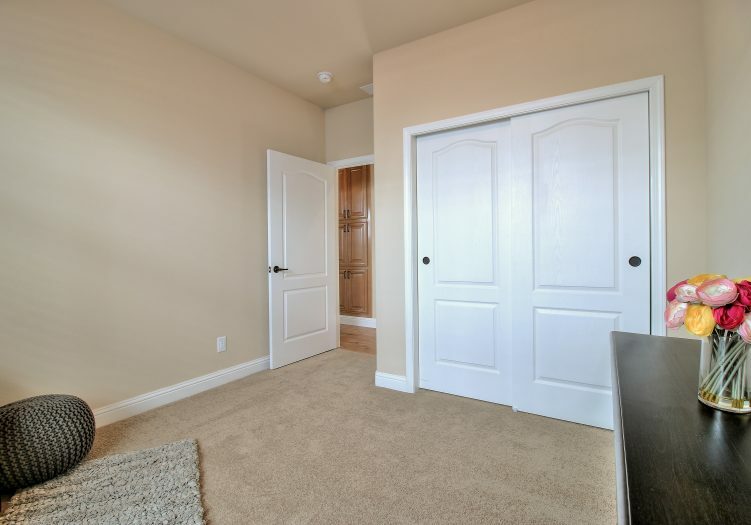 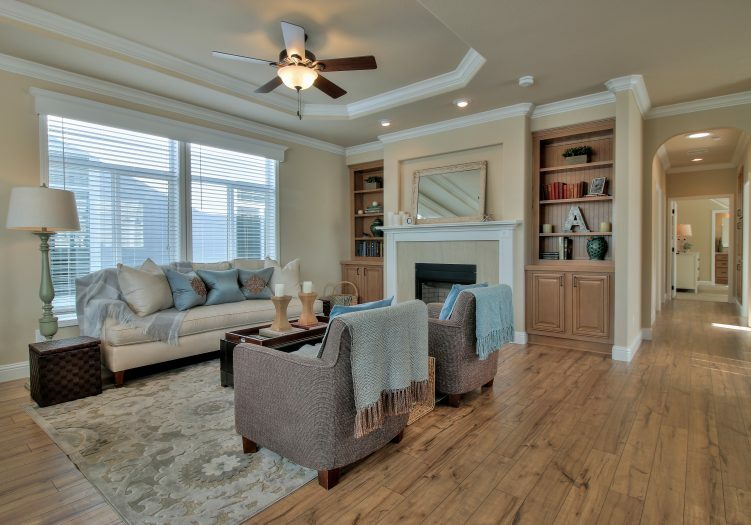 Soaring 9' high flat ceilings are lined with crown molding, and wood laminate floors are surrounded by 5 ¼" baseboards. 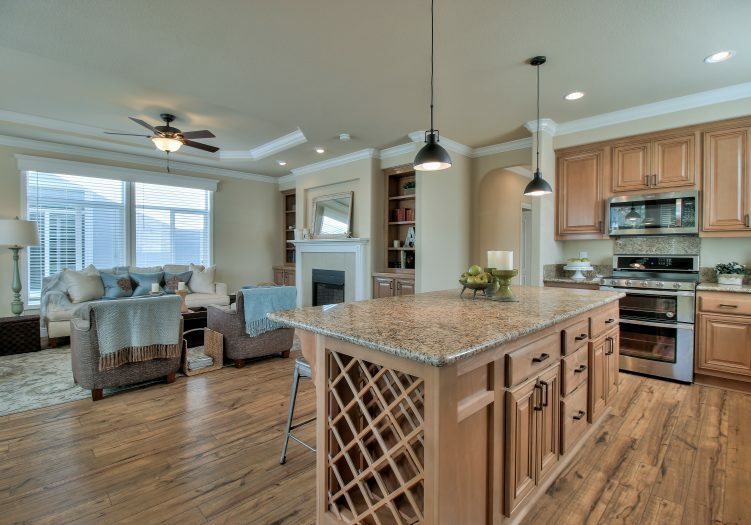 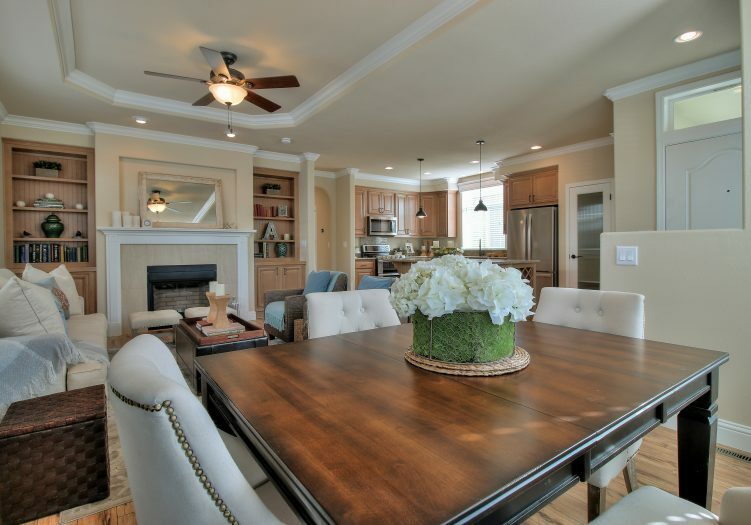 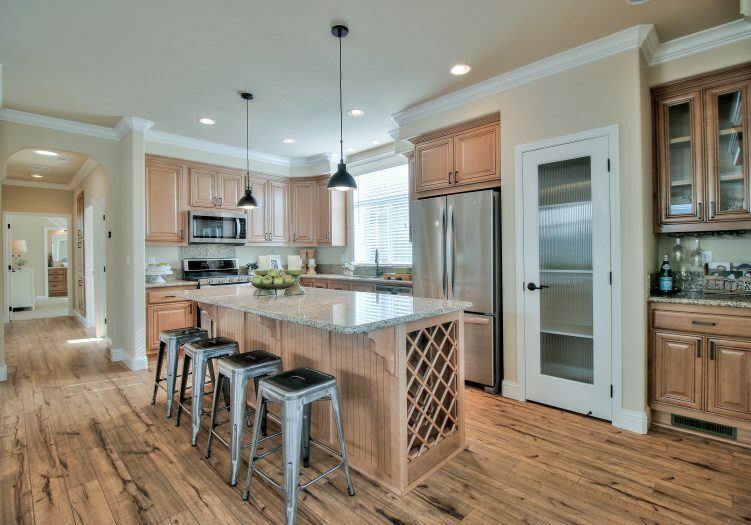 The large kitchen island offers room for up to four bar stools and has a built-in wine rack. 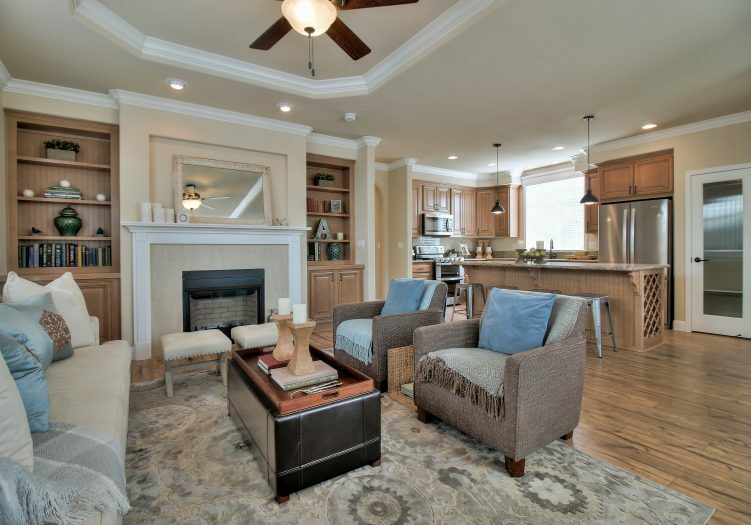 Across the living room, a beautiful gas fireplace encased in a tile surround sits below a recessed feature wall that is perfect for a flat screen TV. 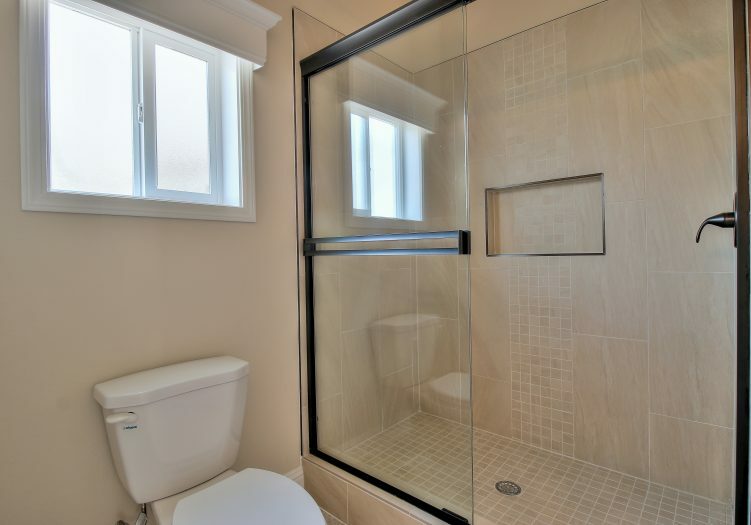 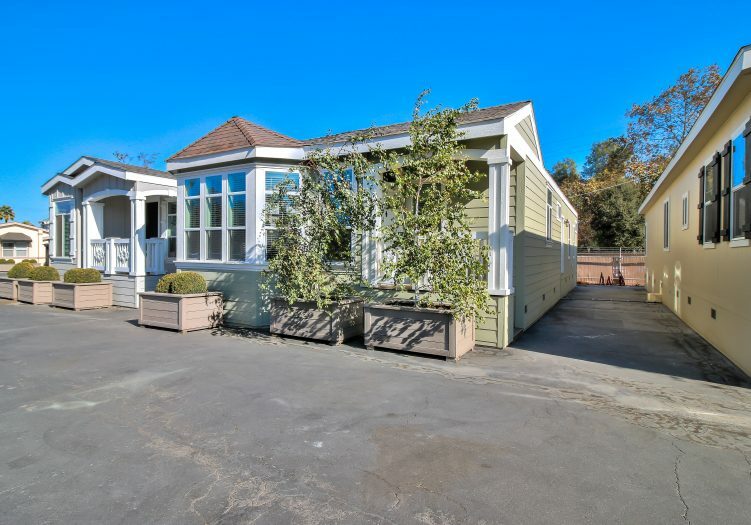 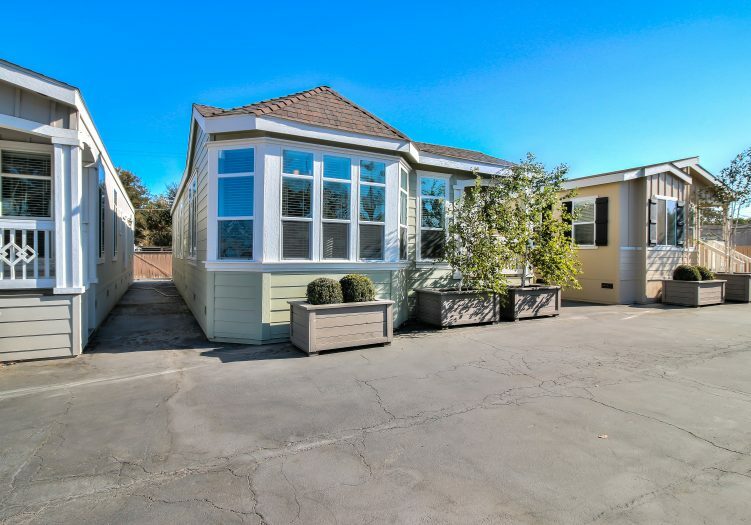 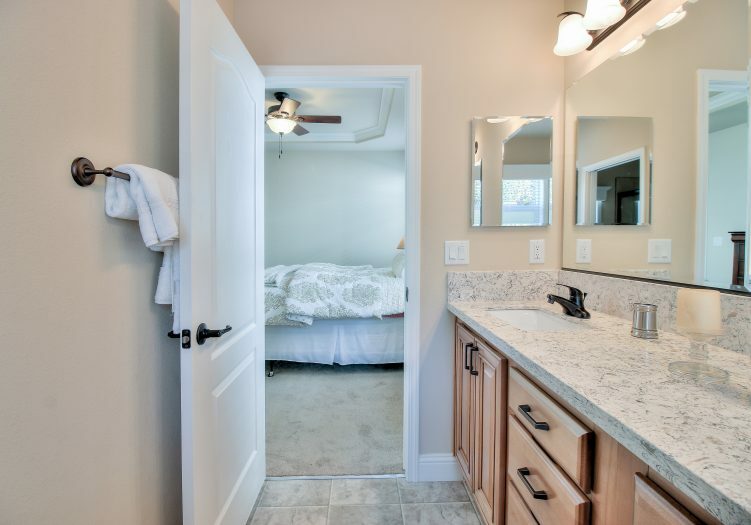 At the rear of the home, true master suite features a large walk-in closet, his and her sinks, soaking tub, and a walk-in shower. 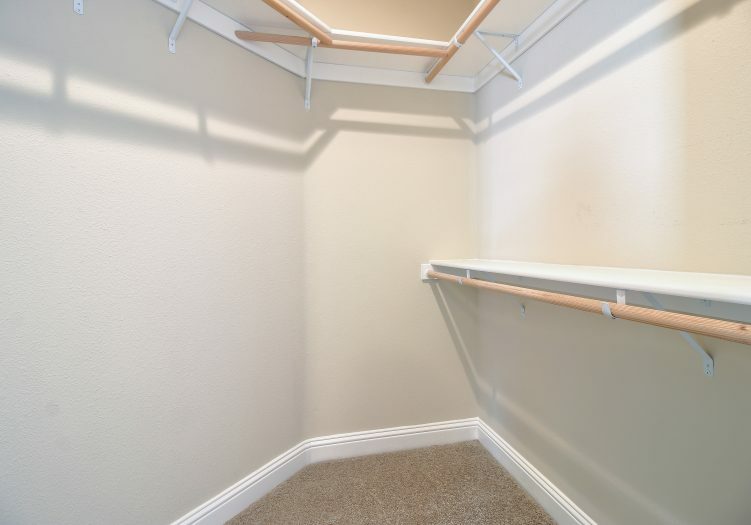 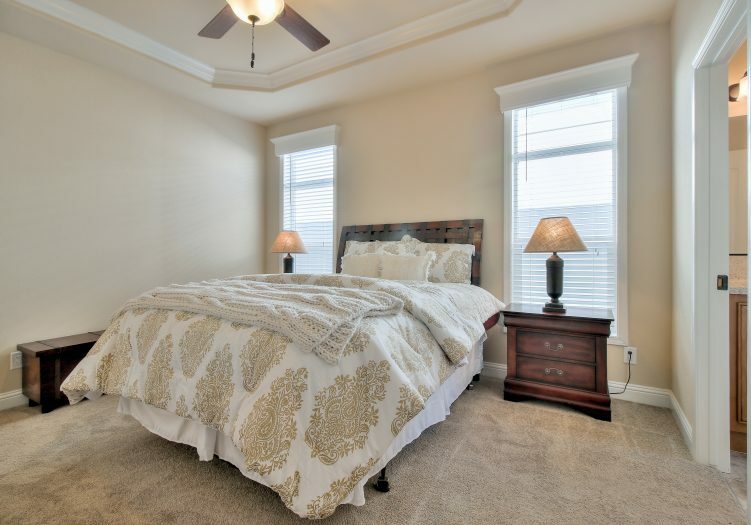 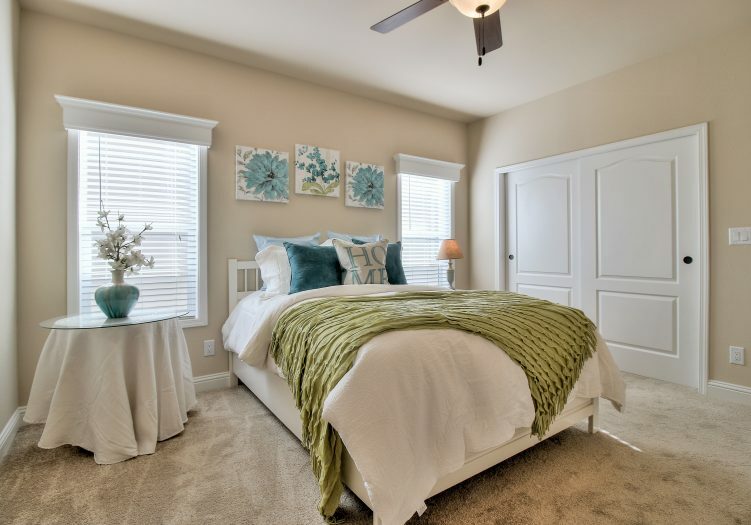 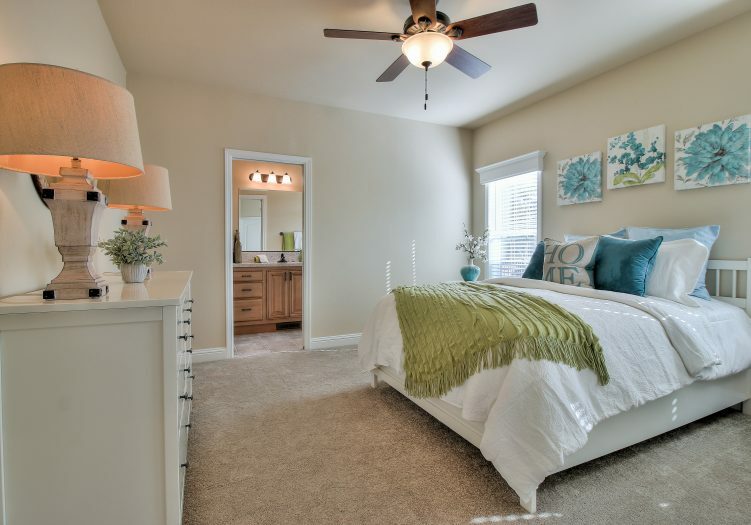 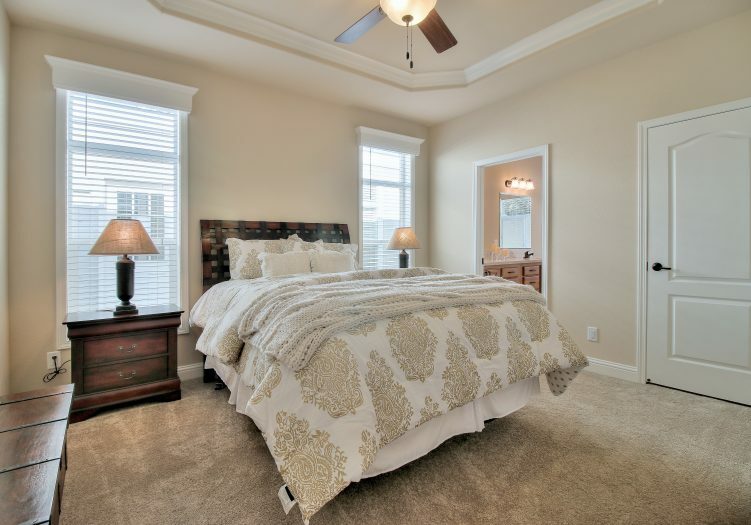 The second master suite has ample closet space and a private bathroom. 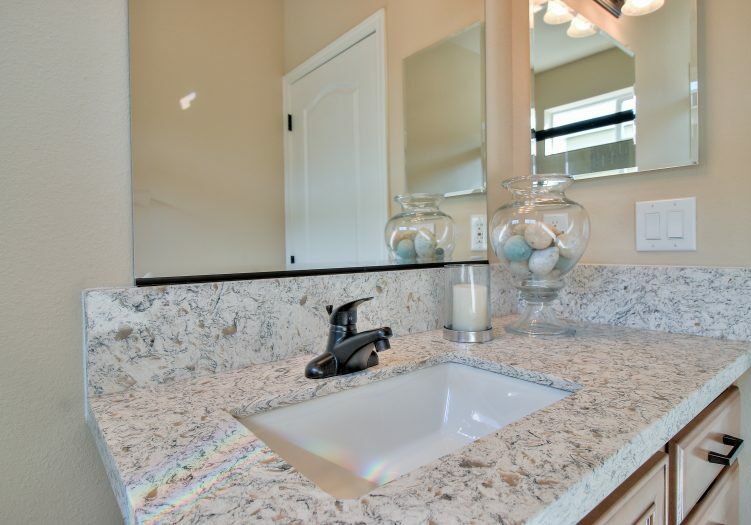 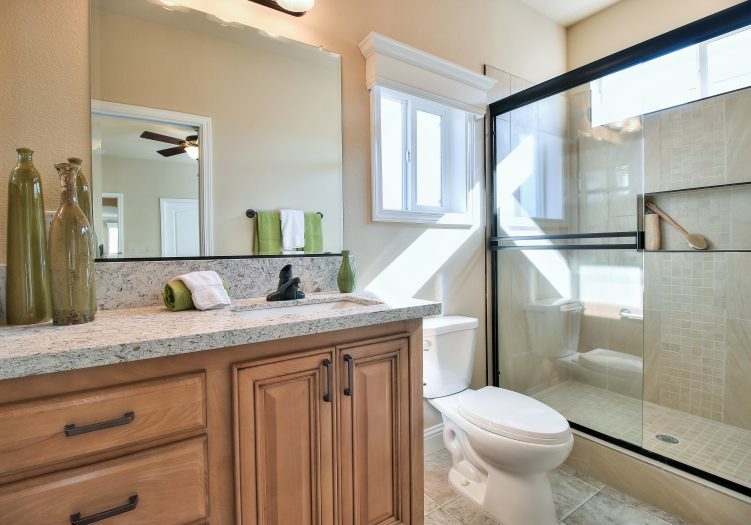 Looking for more design ideas or considering the purchase of a brand new home? 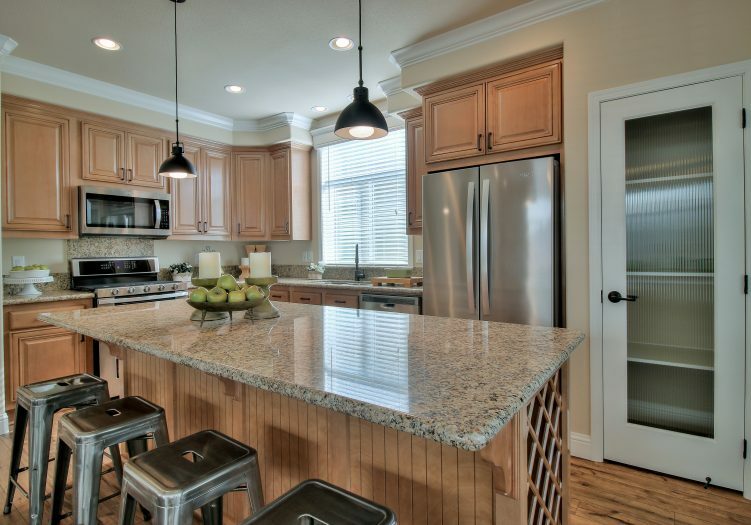 Tour the design center to browse our wide selection floor plans, countertops, paint samples, and finishes. 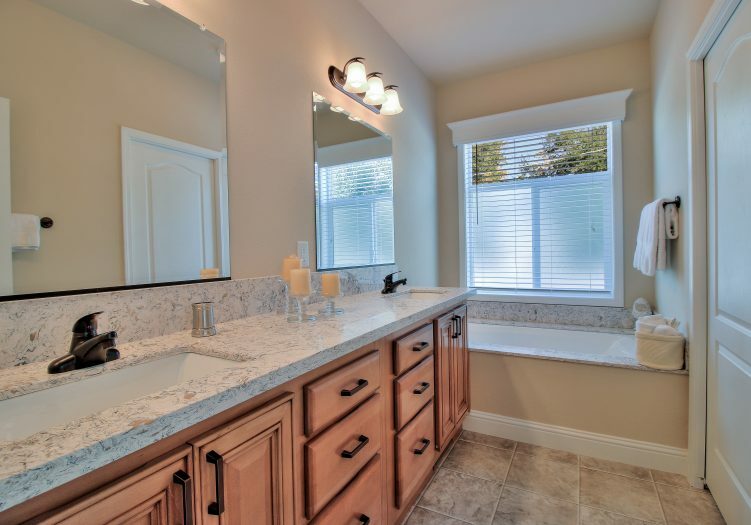 For more information, please contact us at (866) 494-8993.